Excel Metal & Engg. 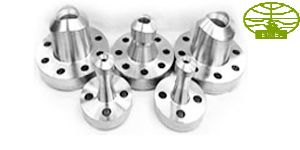 Industries Is Manufacturer, Supplier And Exporter Of Best Quality Weldo / Nipo Flanges. Also, We Present Our Products At The Most Accessible Rate And We Can Manufacture And Mould As Per Your Drawings And Specifications. DIN Weldo / Nipo Flanges Manufacturer & Supplier in india, ANSI B16.5 Weldo Flanges, ASME B16.47 Nipo Flanges, Carbon Steel Weldo Flange, Stainless Steel Weldo & Nipo Flange in India, Manufacturer & Exporter - Alloy Steel Nipo Flanges.